Another Joyful Season card.....This letterpress plate is fantastic. I inked it up with Chocolate Chip ink on Very Vanilla cardstock. 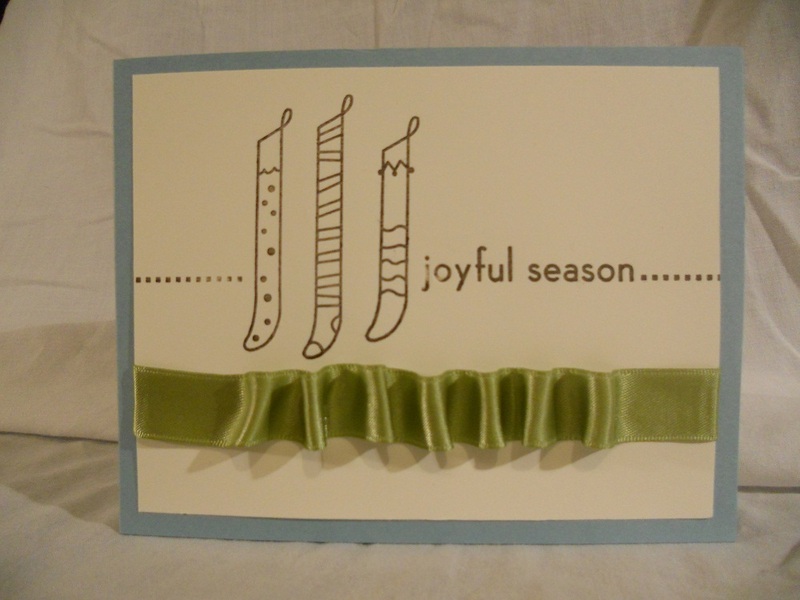 I wrapped Old Olive satin ribbon around the card front and ruffled it up a bit. I have been using regular Tombow tape and I find that the rufffles come undone after a day or two, so if anyone knows which adhesive works best to hold these scrunchy ruffles in place I would love to hear from you. To keep this card light and carefree I layered my cardfront onto a Baja Breeze card base.